New Look is a British global fashion retailer with stores across the UK and Europe, specialising in womens, teen and mens clothing. This exciting project was to technically develop a new Beauty Environment concept and bring it to life through manufacturing and in-store implementation. There were 300 units across the estate requiring rebranding with a new high-spec units to be installed in 200 further stores throughout the continent. 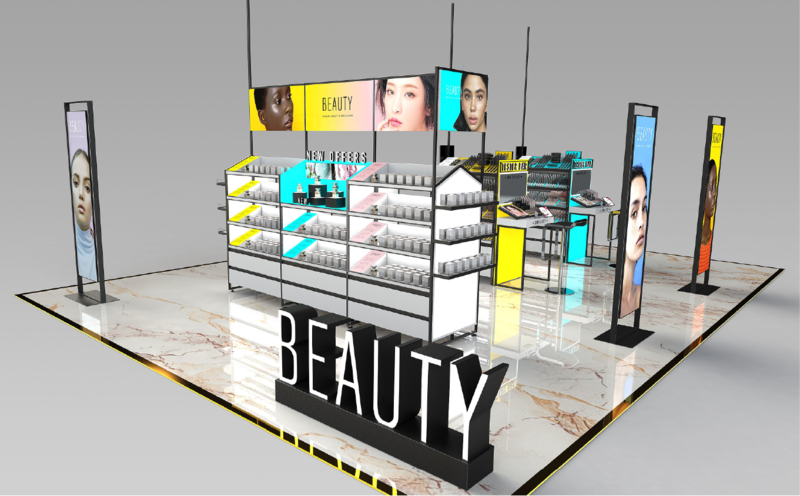 There was a further ask to create four bespoke units for their flagship stores, including Oxford Circus and Donegal, which really showcase the fantastic new collection of Beauty Products. 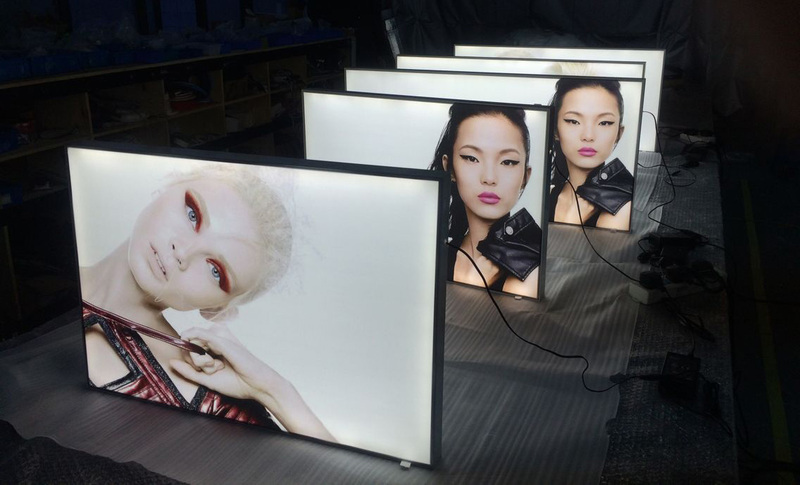 Our technical design team took creative concepts and engineering them and developing the illumination solution, working tirelessly on creating tiles unique to each product with very tight deadlines; some products only arrived for design a month before the launch! There were a number of different planograms to take into consideration as well as ensuring that the unit was sustainable and fully updateable in store. There were multiple production lines set up to handle the multi-substrate elements for the base fixture and the interchangeable product tiles. The units were swiftly manufactured, assembled and kitted for installation, all managed by in-house with constant communication with the New Look project delivery team. The hard work and dedication of all teams paid off, with the enhanced, premium-feel displays rolling out continent-wide in just two and a half weeks. This was a complex installation programme, requiring multiple teams installing up to 17 stores per night in shopping centres and high streets across the country, immediately providing a great display for the 420 new lines developed by New Look.